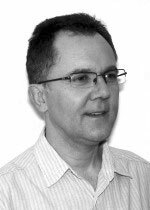 Dr Bull has 15 years of radiology experience at consultant level and 11 years of experience in cardiac CT and cardiac MRI scanning. He is Level 3 accredited in cardiac CT by SCCT and BSCI. Russell is currently involved in the development of cardiac MRI ‘cardiac DOT’software in conjunction with Siemens Healthcare. This allows cardiac MRI patients to be scanned more efficiently and reproducibly. He is also involved in the development of Toshiba “Pure Vision” ultra dose efficient detector for CT in conjunction with Toshiba Medical. This allows patients to be scanned more safely using lower doses of radiation and IV contrast. He currently supervises and reports over 500 cardiac CT and 500 cardiac MRI examinations per year. Dr Bull has given numerous lectures on Cardiac CT and MRI over the last 10 years at national and international level. He is on the steering group for ‘CT Rapid’ - a study assessing the role of cardiac CT in acute chest pain. He was part of the team producing the RCP/RCR standards document for cardiac CT. In conjunction with BSCI, Dr Bull is involved in the ongoing audit of cardiac CT radiation doses across the UK.